I've posted about Minted in the past, and I'm excited to share about their 2016 holiday card lineup and offer a giveaway! I have $100 Minted credit up for grabs to THREE winners! 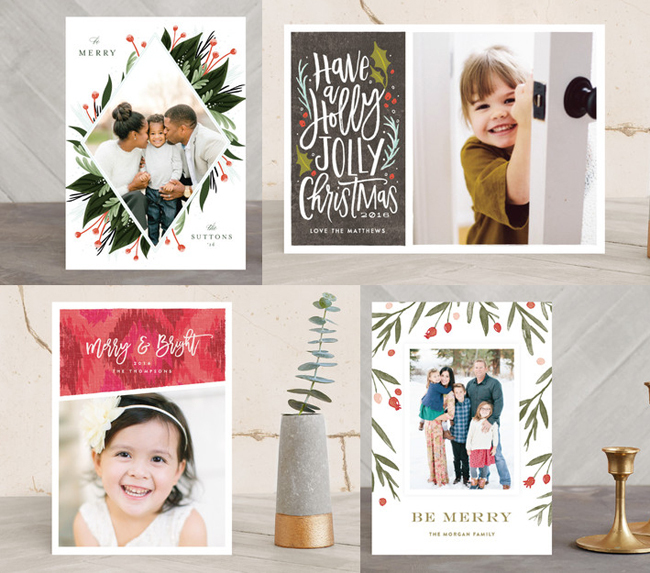 There are obviously a lot of options for places to buy holiday cards, but Minted has been my favorite for the past couple of years, even before I started collaborating with them. Their designs are unique because they are sourced from a global community of designers, so you won't see the same cards anywhere else. Their paper is thick, which I personally like more than the thin photograph cards. If you want to easily check out what kind of designs they have, use their "find it fast" tool to easily search all the options! But my favorite thing about Minted is their free address assistant, which allows you to input addresses before you buy, and Minted sends you matching envelopes already addressed for free! This is seriously the best and makes your cards look so great. Here are just a few of my favorite designs from this year's collection. There are so many good ones! Is this getting you excited for Christmas already? Because I am. 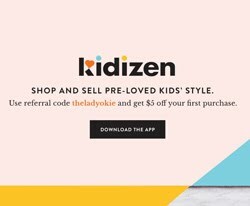 Minted is generously giving away $100 credit to shop to THREE winners. Click here to enter and good luck! *This giveaway is only open to residents in the United States. It will be open for one week and will close next Wednesday at 11:59 PST. Winners will be emailed. This post does contain affiliate links, but all content and opinions are my own. Entered! I just LOVE Christmas and these cards are absolutely gorgeous. This may or may not have inspired me to put on some Christmas music this AM! Minted is my very favorite card company! I love their designs and the free addressing is such a time saver. You picked out some great favorites! Now that is an awesome giveaway! I ordered my Christmas cards last year from them and I am thinking I want to do a baby announcement Christmas card this year. They always do such a good job! Definitely entering that giveaway! I love holiday cards and I usually have mine designed and ordered (and addresses, ha!) by mid-November! Haha! I LOVE Minted! Every year I drool over them and then end up going with something a bit cheaper, so this would be so amazing to win, haha. That top left one you picked is gorgeous! I love Minted! I love that they get their designs from independent artists. I already have our Christmas card picked out and ready to order from them -- I am just waiting/hoping for a good sale! Just entered! Sending out Christmas cards is one of my favorite things! 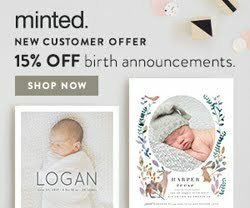 I've always wanted to try minted but I never want to spend the extra money. Tightwad. Ha! Thanks for sharing a giveaway! How many Hawaii pics am I allowed to put on one Christmas card? Ooo cool! I love Christmas cards but I've never used Minted. Thanks for the giveaway! I used Minted for a lot of our wedding related paper needs, but have never used them for Christmas cards. How is there stuff so cute?! This is a FABULOUS giveaway! 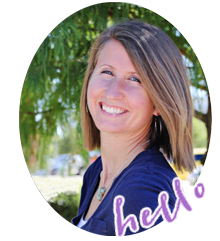 I love Minted bc they address the envelopes for you in a fancy design that matches the cards! Saves me so much time not having to hand-write the addresses, and I get to avoid the ugly look of using labels for the addresses. I love all Minted cards. Just pinned one of their Thank you cards for after Aiden's bday! Yay! This looks like a fabulous giveaway! Thanks so much for hosting! i don't really do holiday cards (i always mean to, and then... i don't) but i love looking at minted's website. one day i am sure i will use them! How fun! I do love that their cards are so unique.